Chafin Law Firm, P.C. – Serving the citizens of Southwest Virginia with integrity and results. Our Law offices in Lebanon, Virginia have been serving the legal needs of individuals and corporations in Southwest Virginia since 1985. The attorneys and support staff of Chafin Law Firm, P.C. are committed to giving clients the level of personal attention and expertise that you want in an attorney. We are committed to providing our clients with professional, efficient legal advice and representation. Our promise to our clients is that we will do our best to properly represent, protect and advance their interests. Our Lebanon, Virginia offices have been serving individuals and corporations in Southwest Virginia since 1985. Since the beginning, Chafin Law Firm, P.C. has expanded our legal services and our physical location. The Burns building, the three story brick structure directly across from the Russell County Courthouse, serves as our offices. Our location provides easy access to the Courthouse for our clients and staff. Providing our clients with professional, efficient legal advice and representation. 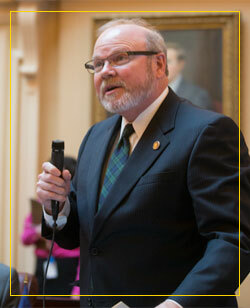 Senator Ben Chafin is a Member of The Virginia General Assembly where he serves in the Senate of Virginia. Senator Chafin represents the 38th Senate District of Virginia in Southwest Virginia comprised of Russell, Tazewell, Dickenson, Buchanan, Bland, and Pulaski Counties, the Cities of Radford and Norton, and parts of Montgomery, Smyth and Wise Counties. Having previously served in the Virginia House of Delegates, Senator Chafin was elected to the Senate in August of 2014 during a special election and was re-elected to a four-year term in 2015. He serves on the Courts of Justice Committee, Commerce and Labor Committee, Agriculture, Conservation and Natural Resources Committee and Rehabilitation and Social Services Committee. The members of the General Assembly are part-time legislators. Only during the regular session does Senator Chafin serve full time in his capacity as a legislator. The General Assembly’s regular Session takes place once a year in Richmond starting on the second Wednesday in January and continuing through the end of February on odd years and the second week in March on even years. During the regular General Assembly Session, Senator Chafin maintains daily contact with his law firm, working remotely in order to assist his clients and continue the work of the law firm. Senator Chafin comes home to Lebanon almost every weekend during session in order to work in the law firm and meet with clients if possible. While Senator Chafin is in Richmond during the regular session, the Attorneys and Staff of Chafin Law Firm continue to work diligently to assist their clients. During Session, Senator Chafin’s Court Cases are continued until the Session is ended, and he is available to be present in Southwest Virginia. When the General Assembly is not in session, Senator Chafin works full time at Chafin Law Firm where he applies his knowledge and experience gleaned from years of Law Practice and Lawmaking. Nick Compton has joined Chafin Law Firm, P. C. as an associate attorney. Nick graduated from The University of Virginia Clinch Valley College in 1993 and from The Appalachian School of Law in 2000. 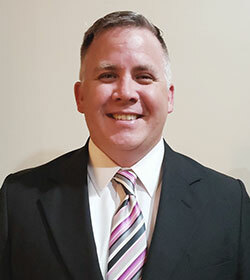 He worked in a general practice law firm from August 2000 until December 2007; as Deputy Commonwealth’s Attorney in the Buchanan County Commonwealth’s Attorney’s office from January 2008 until August 2017; and in a general practice law firm from September 2017 until he joined Chafin Law Firm in October 2018. His emphasis is in criminal law, family law and litigation.